Mavis Staples’ 80th birthday will be commemorated with a trio of concerts this spring. She’s also releasing a new album, We Get By, via Anti Records on May 10. The February 12 concert announcement comes from the Newport Folk Festival which will present the celebratory shows of the musical legend. The concerts will take place this May at New York City’s Apollo Theater, Nashville’s Ryman Auditorium and Los Angeles’ Theatre at The Ace Hotel. 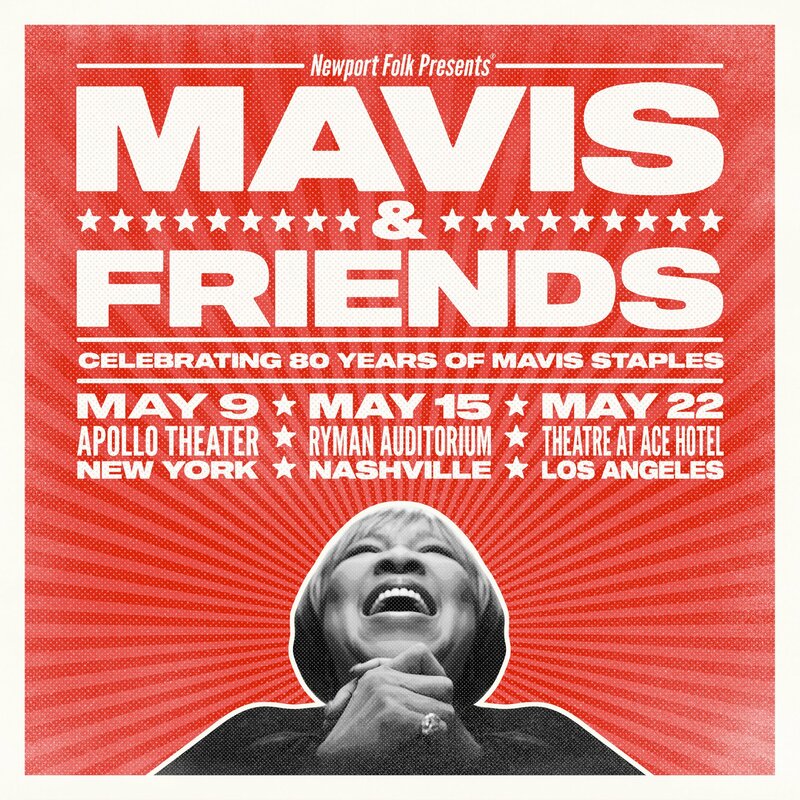 “Mavis & Friends: Celebrating 80 Years of Mavis Staples” will feature Staples and special guests each night.